Publisher: Atria Books, New York, New York, U.S.A. The murders of an ambitious Teamster and members of his family lands Chief Assistant D.A. Butch Karp on one of his most challenging cases--one that will threaten his own family with violence as he probes ever deeper into big-city labor corruption. 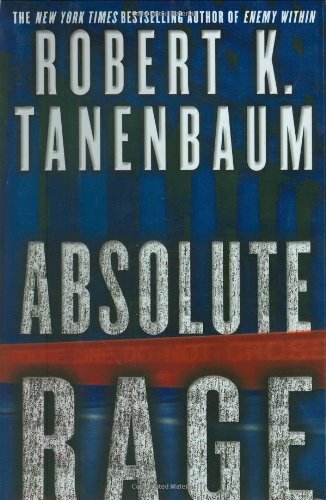 Robert K. Tanenbaum is one of the country's most respected and successful trial lawyers and has never lost a felony case. He has held such prestigious positions as homicide bureau chief for the New York District Attorney's Office and deputy chief counsel to the congressional committee investigations into the assassinations of President John F. Kennedy and Dr. Martin Luther King Jr. He is teaching Advanced Criminal Procedure at his alma mater, the University of California at Berkeley, Boalt Hall School of Law and conducting continuing legal education (CLE) seminars for practicing lawyers in California, New York, and Pennsylvania. His previous works include Enemy Within, True Justice, and Act of Revenge. This is his fourteenth novel.